Application Forms: The candidate who has fulfilled the VTUEEE 2019 eligibility conditions has to purchase the Application forms from the Regional Offices of Veltech University / Bookshops. The address of Regional Offices and the Bookshops are presented in the VTUEEE official website. Payment: The candidate has to pay Rs.950/- at the regional Office of Veltech University/ Bookshops. Filled Application Form: Please send in the filled VTUEEE 2019 Application form with a Demand Draft attached to the University Address: The Director, UG Admissions, Veltech Dr.RR & Dr.SR University, 400ft Outer ring road, Avadi, Chennai, Tamil Nadu, India. 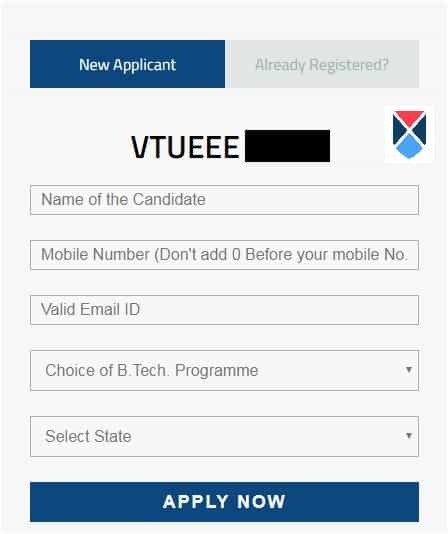 Step1: The candidate can fill the online application form on the VTUEEE official website. Step2: The candidates who have fulfilled the VTUEEE eligibility criteria have to register themselves first. Registered Candidates will receive an email notification to their registered email id with their application number, password and the link to complete the application form. Step3: After finishing the registration process, the candidate has to fill in his/her personal details, their junior college, marks, and year of passing. Step4: The candidate who has fulfilled the VTUEEE eligibility criteria has to select the examination centre for VTUEEE examination. Step5: After finishing the above process, the candidates who have fulfilled the eligibility criteria have to upload a scanned picture of their signature and photograph. Step6: The candidates after filling the application form have to proceed to make payment for the same. The candidate who has satisfied the eligibility criteria can pay the VTUEEE application fee through online and offline mode. The candidate can pay through his/ her debit/ credit/ net banking for online mode. 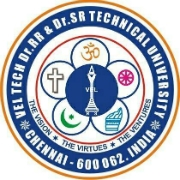 For offline mode, the candidate can pay through Demand Draft drawn in favour of “ Veltech Dr.RR & Dr.SR University”, payable at Chennai, to The Director – UG Admission along with a requisition letter. The VTUEEE application fee if Rs. 950/- for all the candidates who have applied for VTUEEE 2019.